Raumfahrt - Kann Atommüll uns zu den Sternen bringen? Raumfahrt - Mit Start von Dongfanghong-1 Satelliten am 24. April 1970 markierte China den Eintritt in eine neue Epoche der Weltraumforschung. Sind mysteriöse "kalte Punkte": Fingerabdruck der größten Strukturen im Universum? 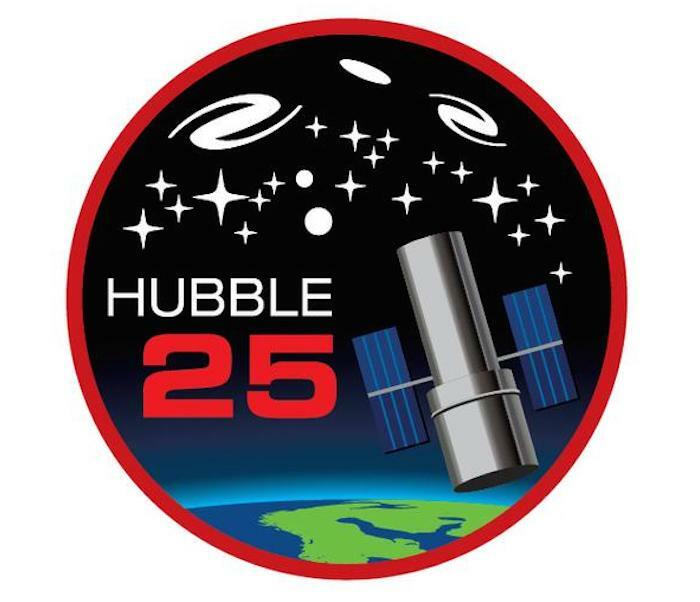 NASA's Hubble Space Telescope is a quarter-century old this month. Though only projected to be in service for 10 years when it launched aboard space shuttle Discovery on April 24, 1990, from Kennedy Space Center in Florida, the unique telescope is still a technological marvel 25 years later. Orbiting 340 miles above the Earth and traveling at about 17,000 miles per hour (5 miles per second), Hubble continues to reach back into time to capture stunning images of the universe and our own Milky Way Galaxy with its 100-inch-wide primary mirror. The telescope is credited with discovering many distant galaxies, confirming the existence of supermassive black holes in galactic centers, and discovering birthplaces of stars, relaying images almost too mind-boggling to comprehend. Most recently, Hubble's observations suggest the best evidence yet for an underground saltwater ocean on Ganymede, Jupiter's largest moon. The under-ice ocean may contain more water than all of the water on Earth's surface. "This discovery marks a significant milestone, highlighting what only Hubble can accomplish," said John Grunsfeld, astronaut and associate administrator of NASA's Science Mission Directorate at NASA Headquarters in Washington. "In its 25 years in orbit, Hubble has made many scientific discoveries in our own solar system." Grunsfeld made several trips to upgrade Hubble. He performed a total of eight spacewalks during Servicing Missions 3A, 3B and 4. 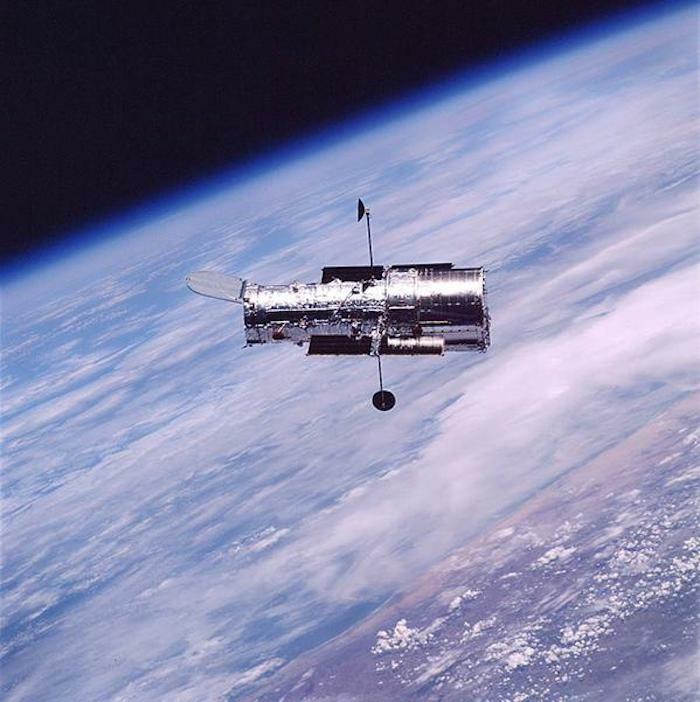 In January 2011, the Wide Field Camera 3 on the Hubble Space Telescope found what was thought at the time to be the most distant object ever seen in the universe. The object's light traveled 13.2 billion years to reach Hubble, roughly 150 million years longer than the previous record holder. The very dim and tiny object is a compact galaxy of blue stars that existed as early as 480 million years after the big bang. Frank Cepollina, who has been with NASA for 52 years, was the project manager for the Hubble Space Telescope servicing missions. He was in the Launch Control Center firing room at Kennedy for all five Hubble servicing missions. Cepollina is a huge supporter of satellite servicing and currently is project manager for satellite servicing at NASA's Goddard Space Flight Center in Greenbelt, Maryland. He credits Lyman Spitzer, a theoretical physicist and astronomer, and Joe Purcell, a noted physicist, for first suggesting that large telescopes should be built serviceable and modular, so that science instruments and components could be changed out and problems fixed. NASA's Marshall Space Flight Center in Huntsville, Alabama, led the design, development and construction efforts of the large space telescope. Two primary contractors built Hubble. Lockheed Missiles and Space Company of Sunnyvale, California, produced the protective outer shroud and the spacecraft systems, and Perkin-Elmer Corp. in Danbury, Connecticut, developed the optical system and guidance sensors. Lockheed also assembled and tested the finished product. Hubble's journey to space began when it arrived at Kennedy in October 1989 on a U.S. Air Force C-5A transport jet from the Lockheed Martin facility in California. Hubble was transported to the Vertical Processing Facility (VPF), where prelaunch preparations were performed. The Payload Hazardous Servicing Facility also was used for offline processing of Hubble science instruments. "You couldn't ask for a more customer-friendly center than Kennedy," Cepollina said. "We had, on average, 200 to 300 people at the center through processing and launch, including Kennedy, Goddard, Marshall, and support contractors." Bob Webster, NASA payload manager at the time, noted that Hubble arrived in a very unique shipping container built by the U.S. Air Force for military surveillance satellites. Hubble was transported to the pad using Kennedy's payload canister. Webster recalled several very unusual events that occurred during processing. The VPF was operated as a class 100k clean work area (less than 100,000 particles larger than 0.5 micrometers in size). The requirement for Hubble's sensitive instruments and lens was less than 20k. The payload processing team worked diligently to maintain the VPF at cleanliness levels between 2k and 5k. The Hubble Space Telescope Program brought with it an array of ground support equipment to test the telescope. Webster said two science instruments were installed in the telescope in the VPF. "Normally, vertical payloads were transported to the pad before the shuttle," Webster said. "We took Hubble to the pad late in the flow to minimize its time at the pad." The hypergolic fuel was loaded into Discovery and then Hubble was delivered to the pad and prepared for installation in the payload bay using the payload changeout room (PCR). But, hundreds of midges, a kind of small fly, had hatched and settled on the payload bay doors, resulting in an unknown number of them getting into the PCR. Webster said the PCR doors were quickly closed and an environmental team was called in to devise a system to remove the flies. Several lighted traps with small vacuum devices and dry ice were placed throughout the clean room to collect the tiny insects, a process that took about two days. When the PCR was clear, the eight-hour process began to install and secure the nearly 44-foot-long Hubble in the shuttle payload bay for its trip to space. Precise measurements of the bay and the telescope had been taken in advance to ensure the clearances. On launch day April 10, pilot Charlie Bolden, now the NASA Administrator, flipped the switches on the shuttle's auxiliary power units (APU) and the launch team realized something was wrong. The flight was delayed two weeks while the faulty APU was changed out. In a process that had never been planned for, the payload team removed Hubble's batteries inside the payload bay and took them to the Space Shuttle Main Engine Facility in the Vehicle Assembly Building to keep them charged. A few days before launch, the batteries were reinstalled. "Finally seeing it launch and then deployed was an exciting experience for the entire payload processing team," Webster said. "I enjoyed working with the people on the Hubble team. I felt very proud and lucky to have this opportunity." Before retiring from NASA in 2000, Webster worked as a division chief in the Space Station Processing Facility, planning for International Space Station segment arrival and processing. Hubble was serviced the first time in 1993 to correct for spherical aberration that was creating blurry images in the initial images from Hubble. Astronauts returned four more times to upgrade or replace several of the telescope's sensitive instruments. Each servicing mission increased scientific capabilities of the observatory. Each time, the space shuttle would bring back Hubble parts and equipment to be refurbished and sometimes reused. "That first servicing mission provided the camera that produced the famous picture that everyone recognizes, called the Eagle Nebula," Cepollina said. "The mission essentially was written around re-establishing the dream." Cepollina said there were significant technical capabilities advanced through the course of the servicing program (20 years), from developing the technology to polish the optics on Hubble, to corrections for the spherical aberrations in the images that were introduced by a slightly misshapen mirror. The secret was an instrument called COSTAR, which had within it these corrective optics, as well as built-in corrective optics that were included in future Hubble science instruments. COSTAR also represented a great improvement in photolithography, a key process for improving transistor density on a chip. Making microchips is a function of being able to photolithographically create the individual transistors on the head of a pin. The sharper the lines, which are one one-thousandth of the diameter of a human hair, the more transistors can be placed on a pin. More transistors increases the density of the chip, which increases computational ability and memory. "One example: today's technology has 260,000 times more processing power (i.e. the iPhone) than the original lunar landing vehicle," Cepollina said. "It was a huge leap forward." 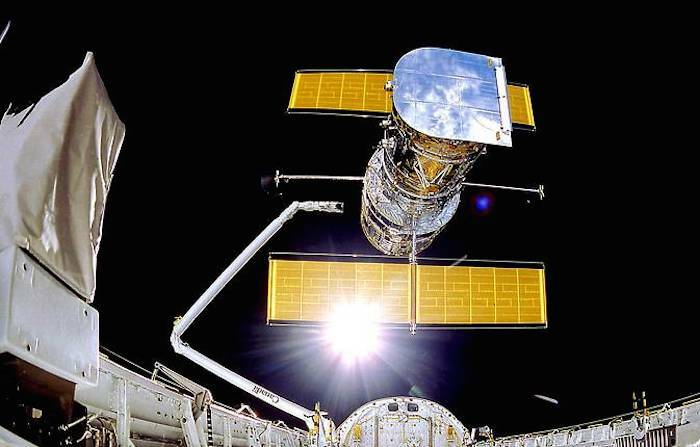 On the second servicing mission, the Space Telescope Imaging Spectrograph (STIS) was installed on Hubble. Using its imaging spectrograph, STIS confirmed the existence of supermassive black holes in the centers of galaxies. "One of the very first observations was the M87 galaxy, which indicated there were black holes," Cepollina said. "Because of this instrument, we now know there's a black hole in the center of almost every major galaxy in the universe that we can observe." STIS also provided a technological push in the medical field, specifically in mammography. This instrument flew a detector that was being developed by the University of Kentucky Medical School. The school sent it to NASA to see if it could be improved upon for use on the STIS instrument. The detectors on that instrument became one of the key elements for the stereotactic breast cancer detection system. "We worked with it, and handed that technology back to them," Cepollina said. "A year before we launched the STIS instrument to orbit, there were more than 1,000 of these Stereoscopic Imaging breast biopsy machines in hospitals and doctor's offices around the country." The tools developed to service Hubble were battery-operated systems, some with embedded microprocessors inside of them. Astronauts trained to use these tools. They learned how to program in the amount of speed, torque, turns and direction they wanted to accomplish the tasks. "All they had to do was crank in the numbers, squeeze the trigger and they would get the right number of RPMs, right number of turns, right speed, clockwise or counter-clockwise motion, and out would come the bolt, or in would go the bolt," Cepollina said. "That is automation. That is microprocessors. That was a path to robotics." Another example was the shuttle's robotic arm used to capture Hubble for servicing and then releasing it back into orbit. "There are two major surgical robotic systems that are in operation today from which we learned and from which they learned from NASA," Cepollina said. The first is a machine called da Vinci, from a company called Intuitive Surgical, used to perform surgery. Another is the neuro-Arm, a Canadian-built surgical system, used to perform brain surgery on tumors. This surgical robot also can remove tumors that are growing near the central nervous system. "Today there are more than 3,000 da Vinci machines. I recently learned that Intuitive Surgical is using the robot to remove gall bladders," Cepollina said. "Just imagine what the medical field and robotic surgery will be like in 10 years." What's next on the horizon after Hubble? Cepollina is studying the possibility of a 1,000-inch telescope, one with modular systems that could be built on the ground in pieces and carried on NASA's Space Launch System, with an Orion crew that could assemble it with robot arms and send it into its final orbit. "Let's get out there and try something new. Let's get back to the basics of dreaming a dream. Even though we think it may be impossible, something may happen that makes reality click. Although the dream may seem impossible, maybe the results will still be startling," Cepollina said. NASA's Hubble Space Telescope is suspended in space by Discovery's Remote Manipulator System following the deployment of part of its solar panels and antennae on April 25, 1990.
he brilliant tapestry of young stars flaring to life resemble a glittering fireworks display in the 25th anniversary NASA Hubble Space Telescope image, released to commemorate a quarter century of exploring the solar system and beyond since its launch on April 24, 1990. 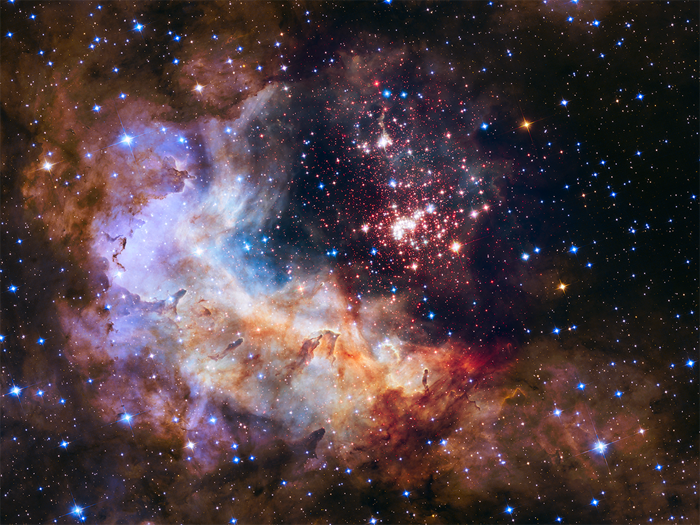 The sparkling centerpiece of Hubble’s anniversary fireworks is a giant cluster of about 3,000 stars called Westerlund 2, named for Swedish astronomer Bengt Westerlund who discovered the grouping in the 1960s. The cluster resides in a raucous stellar breeding ground known as Gum 29, located 20,000 light-years away from Earth in the constellation Carina. To capture this image, Hubble’s near-infrared Wide Field Camera 3 pierced through the dusty veil shrouding the stellar nursery, giving astronomers a clear view of the nebula and the dense concentration of stars in the central cluster. The cluster measures between 6 and 13 light-years across. The giant star cluster is about 2 million years old and contains some of our galaxy’s hottest, brightest and most massive stars. Some of its heftiest stars unleash torrents of ultraviolet light and hurricane-force winds of charged particles etching into the enveloping hydrogen gas cloud. The nebula reveals a fantasy landscape of pillars, ridges and valleys. The pillars, composed of dense gas and thought to be incubators for new stars, are a few light-years tall and point to the central star cluster. Other dense regions surround the pillars, including reddish-brown filaments of gas and dust. The brilliant stars sculpt the gaseous terrain of the nebula and help create a successive generation of baby stars. When the stellar winds hit dense walls of gas, the shockwaves may spark a new torrent of star birth along the wall of the cavity. The red dots scattered throughout the landscape are a rich population of newly-forming stars still wrapped in their gas-and-dust cocoons. These tiny, faint stars are between 1 million and 2 million years old -- relatively young stars -- that have not yet ignited the hydrogen in their cores. The brilliant blue stars seen throughout the image are mostly foreground stars. Because the cluster is very young -- in astronomical terms -- it has not had time to disperse its stars deep into interstellar space, providing astronomers with an opportunity to gather information on how the cluster formed by studying it within its star-birthing environment. The image’s central region, which contains the star cluster, blends visible-light data taken by Hubble’s Advanced Camera for Surveys with near-infrared exposures taken by the Wide Field Camera 3. The surrounding region is composed of visible-light observations taken by the Advanced Camera for Surveys. Shades of red represent hydrogen and bluish-green hues are predominantly oxygen. The Hubble Space Telescope is a project of international cooperation between NASA and ESA (European Space Agency). NASA's Goddard Space Flight Center in Greenbelt, Maryland, manages the telescope. The Space Telescope Science Institute (STScI) in Baltimore, Maryland, conducts Hubble science operations. STScI is operated for NASA by the Association of Universities for Research in Astronomy in Washington.